Fill out the form above for an Instant Free Quote or call 877.766.2757 for an immediate response and assistance. 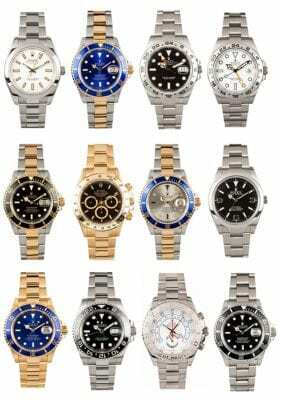 Mark’s Watches is the premiere organization in used and pre-owned Rolex timepieces. Welcome to Mark’s Watches – Best Pre-Owned Rolex and fine watches. If you are looking for the best place to consign or sell your Rolex or seeking assistance to ascertain the worth/value of your pre-owned Rolex watch, contact us for a completely free, no-obligation assessment. With over 100 years combined experience in high-end jewelry and watches, our clients can feel at peace that they will get honest, current market valuations of their Rolex watches. Unlike other companies that acquire pre-owned watches such as Rolex, Mark’s Watches primarily focuses on Rolex timepieces. By keeping our focus on the used Rolex market, we are able to ensure that we stay up-to-date on current market conditions. So if you are searching “consign or sell my Rolex” or alternatively, “consign or sell a Rolex” hoping to find the value of your pre-owned Rolex timepiece(s), Call Mark’s Watches at 720.722.1177. We sell Rolex watches and other Swiss brands at Mark’s Watches in Cherry Creek.